Rotary International is the world’s largest volunteer humanitarian service organisation. We have over 1.2 million members across the world, all of whom are committed to create lasting change in our communities. Together with 35 000 + clubs across the globe, business partners and community leaders, we believe that we have a shared responsibility to take action on our world’s most persistent issues. Sound like something you would like to be involved in? Click here to JOIN US FOR A MEETING. We’re a group of people from diverse backgrounds and vocations who are committed to working with our local communities to make positive changes in their lives. 1. 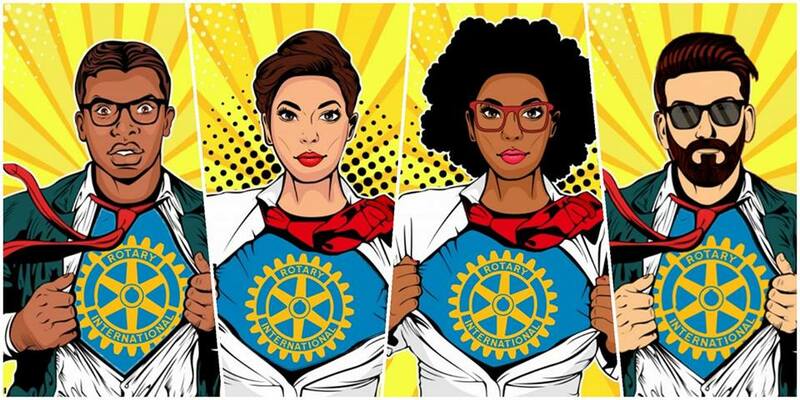 Is Rotary a men’s-only organisation? Not at all! Newlands Rotary boasts an almost 50/50 split of men and women. We also have members aged from 28 – 86. We are a club of diverse people and passions and as long as you have a desire to make a positive change in the world, we’d love to have you as a member. 2. Is it expensive to be a Rotary member? Rotary members do pay annual membership fees/dues and these fees go towards the administration of the club and Rotary International as a whole. A large portion of our annual dues also go to the Rotary Foundation which is an international fund that contributes monetary support to projects across the world. Projects supported by Newlands Rotary have benefited from a number of Global Grants which are funded by the Rotary Foundation. The only other cost is dinner at our weekly meetings which costs R90.00, but if you chose not to have dinner that’s perfectly ok.
3. Is Rotary a business network? We are not a business network in the sense that we aren’t Rotary members in order to promote or benefit our businesses. Rotarians use their skills, vocational training and business networks to serve and benefit our local communities.